This article provides basic navigation on viewing the students with no registered Parents. Go to User Management > Students > Without Registered Parents. Go to the Students Record under the Toolbox section of the homepage. Select a student to display the records and navigate to the Learning Mgmt Team area to view the parent information. 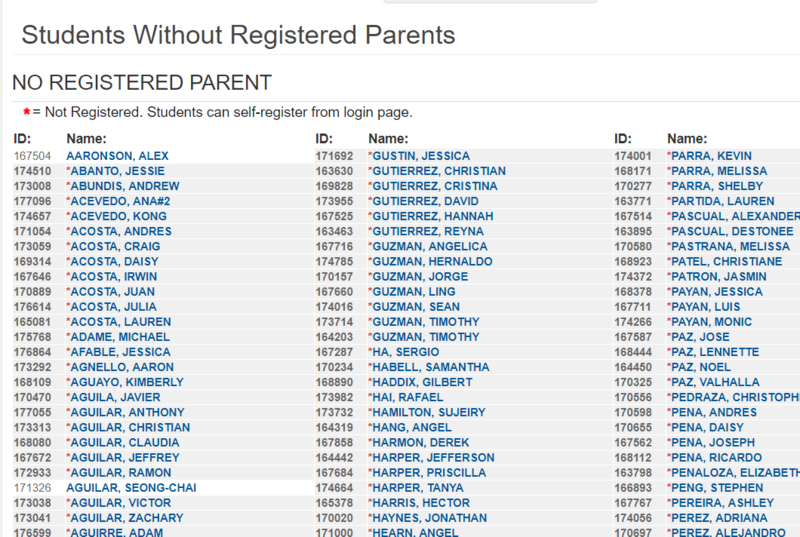 For System Administrators, a complete list of students with no registered parent is displayed. For teachers and staff accounts, the parent information is displayed under the Learning MGMT Team section on the right side of the student page.